Café des Artistes Los Cabos is an exclusive restaurant where the most selected Mexican flavors are blended with gourmet French techniques to create cuisine that is constantly evolving. The dining experience will honor the convergence and fusion of local flavors and the international cuisine art, delighting the most discerning palates seeking authentic and avant-garde creations to tempt the taste buds. 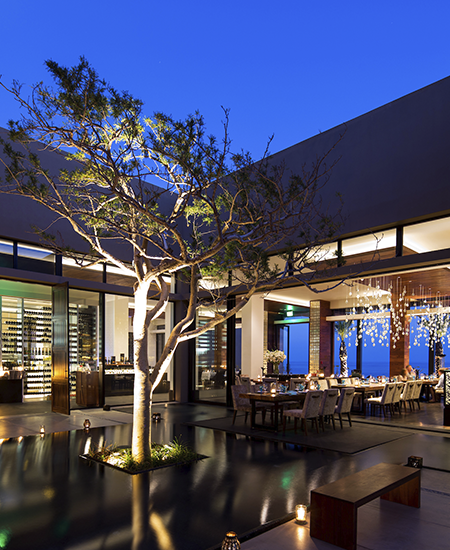 A carefully selected wine cellar including the best of Baja California wines, chef’s private table and bars complement the Café des Artistes experience.